438 Days is the miraculous account of the man who survived alone and adrift at sea longer than anyone in recorded history—as told to journalist Jonathan Franklin in dozens of exclusive interviews. Based on dozens of hours of interviews with Alvarenga and interviews with his colleagues, search and rescue officials, the medical team that saved his life and the remote islanders who nursed him back to health, this is an epic tale of survival, an all-true version of the fictional Life of Pi. 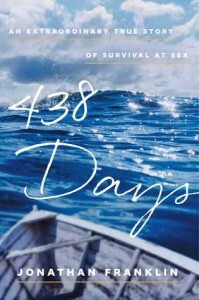 With illustrations, maps, and photographs throughout, 438 Days is a study of the resilience, will, ingenuity, and determination required for one man to survive fourteen months, lost at sea. First of all, happy two year rescue anniversary to Salvador Alvarenga! It was exactly two years ago today that Alvarenga washed up onto a little island and was taken in by a generous local couple who helped nurse him back to health. This man’s story is unfathomable, and inspiring. There are really no words that can accurately describe what he went through. And I really want to just sit you down and tell you everything, but that would just spoil everything. I’m so happy that I got the opportunity to read his story and learn more about the man we heard about in the news. 438 Days took a little while to grab me. The first 60-70 pages talk about his life before he was stranded at sea. He was a party boy. He loved his drugs and his alcohol. I was a little bored with this section because I was more interested in reading about his survival story than his background. Once he became stranded, he began a radical internal change. He cared about his daughter and he cared about being a better person. I loved seeing how this event impacted him for the better. Once the book moved in to his survival story, I became very invested and flew through the pages. Interestingly enough, I also got very depressed while reading. I already knew the outcome, and I knew he would be ok, but I was still very mopey as I read about his emotionally and mentally taxing experiences. This is part of why I read so quickly. I needed to read that he was ok. The writing style also took a little while for me to get used to. The author of this book, Franklin, is a news reporter for multiple publications, and I could tell from his writing style. The entire story was written like a newspaper article, and it lacked the flowing, narrative style I’m used to in books. I did get used to it, though, and I grew to enjoy it at times. The book has a map on the endpapers that plots the course Alvarenga took. I loved looking at this map, and seeing where he was during each part of his journey. So much detail is used to describe his day-to-day activities, the weather, his surroundings, etc. that I felt like I was there. There’s a particular few days where Alvarenga makes a friend in a very large whale shark, who drifts along with him. A few days later, a baby whale shark shows up. What an amazing thing to experience. There are other special moments that the author recounts, and I’m so happy to know that Alvarenga was able to experience some good during his miserable time at sea. He saw some amazing things. Alvarenga grew to be a true survivalist. The ingenuity and creativity he developed helped him find food and water. He was able to entertain himself to pass the time. He was able to fight off the insanity that was bubbling to the surface. He continued to amaze me throughout the entire story. I honestly have no idea how he was able to survive for so long drinking turtle blood and eating raw birds and fish. Every time I think of this man, the words “amazing” and “miraculous” come to mind. “I suffered so much and for so long. Maybe if people read this they will realize that if I can make it, they can make it. Many people suffer only because of what happens in their head; I was also physically being tortured. I had no food. No water. If I can make it so can you. If one depressed person avoids committing suicide then the book is a success. 1. I know this has nothing to do with the story or the author, but Tracey Garvis-Graves, my favorite author ever, blurbed this book. 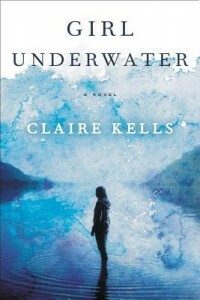 She wrote the ultimate survival love story of our time (On the Island), so if she thinks that Girl Underwater is, “a powerful love story embedded in an action-packed tale of survival” then I’m going to be all over it. Her endorsement is a huge selling point for me. 2. I felt a little disconnected from the story. The plane crash and the beginning really hooked me, and then the story alternates back and forth between the snowy dangers of the Rocky Mountains and the realities that occurred after Avery’s rescue. I was disappointed in the fact that we knew right from chapter two that Avery makes it home. It kind of took away feelings of suspense or discomfort, and I was not on the edge of my seat as often as I could have been. I also hated being ripped out of the mountains to read about her life after her rescue. I wanted most of the book to take place on that mountain, with maybe some of the aftermath in the ending chapters or an epilogue. That’s what I mean when I say the book was not expecting. But once I got passed the fact that my expectations were inaccurate, I was able to enjoy the book for what it was. 3. I was expecting a survival story, but what I ended up getting was what happens in the aftermath of surviving. It’s a story about surviving life after you survive a disaster. We read a lot about Avery’s attempts to deal with her PTSD and her efforts to pick up where she left off the moment her plane went down. It was a very powerful, yet sometimes depressing, portrayal of someone who has gone through the unthinkable. You do not get this in books (or news stories) often, so I did appreciate the added details that are usually left behind the scenes. 4. I really loved the characters. Avery is strong in the mountains, and she is strong after she returns home. She was strong in two different ways, though. On the mountain she was strong for Colin and the three little boys she was stranded with. She did everything in her power for them, even if it meant risking her life. When she was back at home, she finally had to focus on herself. She had to be strong for herself, and that is oftentimes the hardest thing to do. I loved Colin so much. He’s the typical gentleman, who was concerned. He was also so swoony to me the way he treated those little boys. And the boys were very sweet and lovable. 5. There were so many feelings and emotions. It was quite a roller coaster, but I ended up really loving and appreciating that about the book. Girl Underwater acted as more than entertainment. I learned a lot about what goes through the mind of a PTSD victim, and I got to see what I think was a very accurate portrayal of what it’s like to be recognized in public for something you’d like to forget ever happened to you. I really felt for Avery. Moving on is hard when the media and your friends keep pulling you back to such a painful event. 6. I loved watching Avery learn to cope. And I loved watching her come to terms with her life and embrace the good parts of it, even if they make her remember the bad times. She never gave up on herself. 7. The romance was not the focus of the book by any means, but it was an underlying factor. I couldn’t help but hope for the best, and I was very happy with how things turned out for everyone involved. It was real, not ideal. And it was beautiful. Overall, this book reminded me of how much I love reviewing books. I went into this wanting one thing, and the author gave me something I needed instead. I really loved reading about Avery’s and Colin’s stories, and I loved watching their lives change shapes as a result of what happened to them. I think this book would appeal to anyone. It definitely has young adult/new adult/adult crossover appeal, and it has a little but of everything for everyone. Highly recommended. 1. The premise sounds AMAZING, right? People are randomly showing up on this unknown island and have a year to get off or they die. I mean, what a unique and creative idea! That’s why I was so drawn to the book in the first place, I just feel like I wanted more from it. More details. More surviving. Less of what we got. 2. I really, REALLY did not like the romance aspect of the story. It completely overshadowed the craziness of the Island. The great thing about Lost was that the island was a character. It was the main character. Everything that happened was because of the island. Nil needed that same treatment. I did not care about the lovebirds, I did not believe in their love story of convenience, and I got really annoyed by the fact that Thad kept not wanting to get off the island because he did not want to leave Charley. Are ya kidding me? He wants to risk his life and, ultimately, die to spend a few extra days with a girl he has known for less than a month? Less than a few weeks? I don’t like dumb characters. It would have made so much more sense for him to do everything he could to get off the island and then hope the same for Charley. Because then they might have a chance. And I got so tired of hearing how hot he was and how long and lean her legs were. 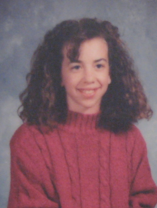 And her hair. And blah, blah, blah. 3. I feel like a lot of time was spent reading about the characters as they ran as fast as they could to try and catch an exit portal to escape. There is only so much an author can do with running scenes. 4. I did like the society on Nil. The teens who live there all pull their own weight, have different talents that make life easier or more comfortable, and all look out for one another. I liked that they set up searching groups for exit portals and did everything they could to try and help people get out. I like that they keep track of who makes it off the island and who doesn’t. They really care about one another, and I felt like these friendships made me care much more about the people involved. 5. I’m not sure whether or not I liked the dual point of view from Thad and Charley. I don’t like dual POVs unless they are done really well and add something to the story, rather than rehashing things we already read about. Sometimes the dual point of view was enlightening, but other times I found it to be predictable and re-hashy. 6. There were so many characters that nobody really got enough time spent on them for you to care about them individually. I liked a couple people here and there, but I could not even remember their names. For this reason, I wish more focus had been placed on surviving instead of the people and the romance. 7. I loved the mystery and intrigue of the inner workings of the island. I love puzzles and figuring things out. I wish more time had been spent on this. 8. Everything ended SO FAST. You’re kind of left hanging, yet there’s no sequel. Basically, Nil had large shoes to fill before it even hit the shelves and I feel like it suffered as a result. I wanted a crazy, twisted survival story and got a lukewarm instalove instead. The story had SO much potential, too. Yes, there were some good moments, but I was disappointed overall. I read this book for my children’s literature class as part of my library and information science grad program. One of our assignments was to write a professional book review (like one that could be published in Publisher’s Weekly or Kirkus) of one of our books for the semester, and so I chose to review My Side of the Mountain! Jean Craighead George has created a wonderfully timeless escape for readers, both male and female, even though the story is about the experiences, thoughts, and feelings of a young boy. The scenery leaps off the page, and the coordinating drawings and diagrams help the reader picture different contraptions Sam builds and also the wildlife of the region in which he lives. Young readers will open their imaginations to the possibilities found within the pages, and more seasoned readers might have to suspend a little disbelief while reading about some of Sam’s escapades, not to mention the fact that his parents let him go on such a dangerous adventure. In any case, Sam Gribley’s adventure will have readers tearing through the pages, and leave them dreaming of going on one of their very own someday. Welcome to my stop along the official Unremembered blog tour, hosted by Macmillan Kids! We’ve got a jam-packed post today with my review, The Who is Seraphina? clue #9, a special guest post about the things Jessica Brody hopes she never “unremembers”, and a chance to win a hardback copy of Unremembered! 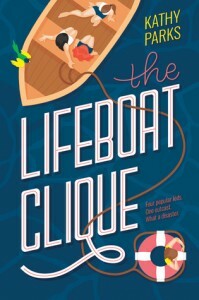 First of all, happy book birthday to Jessica Brody! Unremembered hits shelves today, and I am SO excited for you all to read and experience this wonderfully exciting book! I love mysteries and I love survival stories. Unremembered is both, plus a little science fiction. You really can’t go wrong with this one! I’m keeping my review short because we’ve got Jessica’s post right after! 1. I love the mystery and frustration that comes with memory loss stories. I mean, OH MY. I was getting so terribly frustrated that Sera/Violet could not remember anything! But at the same time, I was tearing through those pages in the hopes that she would remember. And the intrigue and danger that came with not remembering was really exciting. 2. This story flows really fast, but not so fast that you can’t keep up. I loved that. 3. I really liked Sera. I thought it was really cool that, since Sera did not remember anything, we got to learn about her past right along with her. Sometimes an author throws you into a story and has to teach you what a character already knows about his or herself. That can sometimes end up being tedious and frustrating. With Unremembered, though, we get to experience everything with Sera. 4. I really liked the very little I got to learn about Zen in this story. I’m hoping he plays a more dynamic role as the trilogy unfolds, because I really like what I know about him so far. I hope we get more of his own back story, rather than his past with Sera. I want to know him. And I was hoping for more romance. We get glimmers of it throughout the story, so I know the potential… and I want more! I can see book #2 being amazingly good. 5. The sci-fi aspect is really cool and unique. I won’t give too much away, because I loved not knowing about it when I started the book. Let’s just say there are some evil people, associated with an evil plan, who go to great lengths to get back what they claim is theirs. It was so exciting! Overall, I loved Unremembered. It’s definitely a step or two away from the books I usually read, and I loved this change. 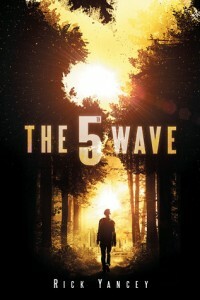 I’d recommend this to people who enjoy a little bit of everything in their stories: romance, sci-fi, mystery, survival. It’s the beginning of a promising trilogy, and even though I know we are all really beginning to tire of trilogies, but this one is worth investing the next 2-3 years in. And now for today’s clue! My memory is a pretty fickle thing. It likes to play tricks on me. It likes to make up stuff and convince me they’re real. It has a tendency to completely misplace things and then blame me for it. Basically, my memory is a really annoying younger sibling. When Jana and I first got in touch to talk about post ideas for this blog tour she suggested two topics: The first was “5 Things You Hope You Never Forget” and the second…well, I don’t think I even read the second because I was too excited about the first and my mind was already churning with ideas! This topic is so charmingly appropriate. In UNREMEMBERED, my character, Seraphina, thinks she has amnesia after she’s been rescued from the site of a plane crash and has no memories about who she is or where she came from. But she soon learns there’s much more to her past than simple memory loss. Someone has actually been erasing memories from her mind. No bueno. I can certainly think of a boatload of things I hope are never stolen from my own mind but since the topic of this blog post is “5 Things You Hope You Never Forget” and not “A Boatload of Things You Hope You Never Forget,” I suppose I will have to narrow it down. So…here are the top 5 things I will cling to like a Krispy Kreme in a donut drought, should anyone ever try to erase my memories. 5. 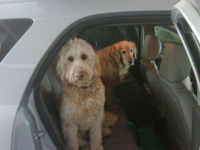 The way my dogs look at me after they sneak into the backseat of the car and hope I won’t notice and make them get out. 3. The girl who bullied me in the 6th grade. As painful as it was, as horrible as she made me feel pretty much every single day, I know her actions shaped who I am today. Remembering her means remembering that I survived it. 2. The day I signed my first book contract. I had been trying to get published for over 5 years and had a mountain of rejection letters (I still have them all!) Getting that first contract in the mail (all official in a Fedex envelope) was pretty much one of the best feelings in the world. I would never want to lose that. 1. And last but most important, I hope I never forget why I do this job. It’s not for money or acclaim or to see my name on the front of a book. It’s to tell stories. To bring make-believe worlds to life. To entertain people like you. Fortunately, I’m reminded of this with every fan letter I receive and every reader who takes the time to tweet me or leave a comment on my Facebook page. So thank you for making sure I never unremember. Try your luck at winning your own copy of Unremembered, which Mac Kids is so graciously providing! I hope you win! 1. The bulk of the book takes place on a raft in the middle of the ocean. Obviously, not a lot can happen on a raft. That’s exactly what we were given: not a lot. Of course, this is incredibly realistic. I mean… I know that real life is not like Lost, where supernatural things are happening all the time. At the same time, though, I would have enjoyed a little more action to break the monotony of the happenings in the raft. I got bored. 2. The setting = a raft. Let me just say that the author did not paint any images in my mind that looked like anything more exciting than a yellow raft in the middle of a bunch of water. But really, how could she? Sometimes it rained. Sometimes it was sunny. It got dark, and then it got light again. There’s just not a lot you can do with that. 3. Because the book is so short and takes place in such a small amount of time, we don’t get to learn a lot about Robie or Max. And those are really the only two characters that are mentioned across more than 2-3 pages. There’s no character development, no relationship, no nothing. 4. There was a little suspense every now and then, but it could have been so much more. I felt like the writing style took away from the possibilities that could have been there in the more tense moments. The writing was very staccato, with short, blunt sentences and very few long, flowing sentences. Perhaps this was the author’s goal: to create a feeling of tenseness with sequences of multiple short sentences. I just didn’t feel it, though. 5. The emotion did not seem real to me. This book is full of hard and/or sad moments, and Robie was completely flat and emotionless. I mean, if I were there I would have been crying and panicking and really freaking out. She seemed totally removed from the situation, even though she was in the very center of it. 6. A small twist happens that kind of makes you go, “Oh… ok. That kind of makes a little more sense.” But really, I was just ready to be done at that point. I didn’t even like the twist, but at least it made sense. Meh. Overall, I think the story is what I had a problem with. Not the author. I have a feeling I would enjoy other works of hers. It takes a lot for a survival story to grab me and really pull me in. When I read a book, I’m looking for more than just a picture of reality. I loved the idea, but I was hoping more would be done with the execution to make it exciting, while still being somewhat realistic.